Attorneys at The Parker Firm P.C. assist individuals and businesses in Tyler and throughout East Texas in a range of general civil litigation matters, with a particular focus in cases arising out of oil and gas and automobile and trucking accidents. For details about the full scope of the firm's areas of expertise, please visit the practice areas overview. With decades of experience handling trials and appeals in state and federal courts throughout East Texas, attorneys at The Parker Firm provide clients with an insider's perspective on the local legal environment. We know the people who work in these courtrooms, including the judges, the opposing attorneys, and the type of people who live here and will likely serve on the jury in a given case. This unique understanding has helped us build a track record of successful results on behalf of a diverse range of clients. As further testament to the firm's standing, several of our lawyers have been Board Certified in Personal Injury Trial Law by the Texas Board of Legal Specialization, a distinction held by less than 10% of Texas attorneys. In addition, The Parker Firm has been awarded Martindale-Hubbell's AV-Preeminent rating, indicating that peers rank us at the highest levels of professionalism and ethical standards. We strive to make the acquisition of legal services an accessible and comfortable experience. For oil and gas litigation, automobile and trucking accidents, insurance or commercial litigation, family law, wills, probate, or criminal defense representation, The Parker Firm P.C. has the knowledge, skills, and abilities to capably and efficiently handle your case. The Parker Firm, P.C. will represent your Personal Injury legal matters. Practice Areas Overview: From its Tyler office, The Parker Firm P.C. serves all of East Texas, with Board Certified and Martindale-Hubbell AV-rated attorneys providing effective representation in oil and gas, insurance law, commercial litigation, personal injury, family law, estate planning and criminal defense matters. Our areas of expertise include: Oil and Gas: The bulk of the firm's practice focuses on oil and gas litigation in the many counties throughout East Texas. Whether dealing with liability questions involving oilfield accidents, construction defects, or unsafe premises, or disputes surrounding rights and title to property and minerals, our attorneys possess the knowledge and skill to see virtually any case through to a successful resolution. Trucking and Automobile Accidents: The Parker Firm also engages in a vigorous personal injury trial practice, representing plaintiffs and defendants in cases arising from truck crashes, automobile collisions, and other motor vehicle accidents. Several of our lawyers have been Board Certified in Personal Injury Trial Law by the Texas Board of Legal Specialization, giving us the expertise to handle even the most complex cases in this area. Commercial Litigation: We understand that commercial disputes are an unavoidable fact of doing business, but also realize the importance of resolving those disputes efficiently. Our commercial litigation practice touches upon every aspect of business dealings, including contract disputes and business torts, employment agreements and covenants not to compete, trademarks and trade secrets, and corporate governance from partnerships and joint ventures to shareholder derivative suits. In Smith County, a case was brought under the Deceptive Trade Practices Act involving a vehicle with a handicap lift which was allegedly installed defectively. After aggressive discovery and filing of dispositive motions, our client successfully reached a favorable settlement before a verdict was rendered. Another case involved a suit against the erector of a transmitting tower antenna, where the tower collapsed, damaging property and requiring replacement of the antenna and the tower. After extensive discovery and two mediations, our client achieved a favorable settlement on the eve of trial. Insurance Litigation: Our insurance litigation practice includes representing insurers of oil and gas companies in third-party suits involving oilfield accidents, premises liability, surface damage, and a wide range of other matters. For example, in a Henderson County case brought against an insurance company involving the denial of a claim for fire which destroyed a person's home, the case was tried to a verdict with a finding that the plaintiff had intentionally set fire to his home. J. Chad Parker is a Tyler native and Senior Partner in The Parker Firm P.C., where he practices in the areas of oil and gas litigation, trucking liability, commercial litigation, construction defects, automobile liability, products liability, and insurance defense. Chad Parker is a skilled litigation trial attorney with over 16 years of extensive experience in handling large and complex civil cases. Mr. Parker has tried approximately 50 cases to verdict in state and federal courts across East Texas. 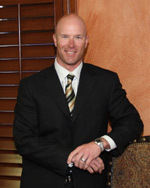 He is Board Certified in Personal Injury Trial Law by the Texas Board of Legal Specialization. Todd Parker, also a Tyler native and a Senior Partner in The Parker Firm P.C., concentrates on his practice in the areas of trucking and trucking and automobile litigation, oil field explosions/injuries, insurance defense, civil litigation, and commercial litigation matters. 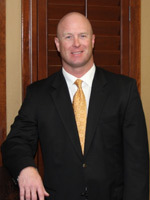 Mr. Parker is Board Certified in Personal Injury Trial Law since 1995 and has tried approximately 50 cases to verdict in state and federal courts across East Texas. Of counsel to The Parker Firm P.C. Jerry C. Parker practices in the areas of environmental insurance defense, products liability, medical negligence, insurance defense, and personal injury law (plaintiff and defense). Mr. Parker is Board Certified in Personal Injury Trial Law by the Texas Board of Legal Specialization and is a Certified Mediator. Matthew Hancock was a finalist in the 2008 Garland R. Walker Intramural Mock Trial Tournament while attending South Texas College of Law in Houston, Texas. 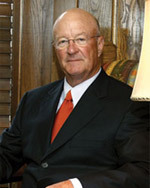 Mr. Hancock obtained legal experience while working as Law Clerk conducting research, drafting motions, and preparing the Attorney for trials. John Greenslade was a recipient of the Bar Essay Writing Cali Award. He was also on the Dean's list for three semesters while attending Thurgood Marshall School of Law. Mr. Greenslade held several internships throughout law school enabling him to obtain great legal experience and knowledge. He has strong verbal communication skills and is a true asset to the firm. Forrest Mays was in the top one-third of his class at South Texas College of Law. He was also on the Dean's list for two semesters while attending law school. Mr. Mays held an internship with Texas Court of Appeals, 1st District where he performed extensive research and prepared briefs for the judicial panel. His notable experience and education provides a essential benefit to the firm.